A Personal Computer can’t really be termed as personal, if someone else has access to it without your permission. Suppose, you’re working on your laptop at your office, and suddenly a situation arises where you have to go AFK (away from keyboard), you will most likely be concerned about your privacy, especially if you forgot to turn off or lock your computer. That’s right, literally anyone could gain access to it without breaking a sweat. Microsoft seems to have addressed this issue by pushing out a nifty new feature called Dynamic Lock, which lets you automatically lock your PC while you’re away with the help of a Bluetooth device, thereby ensuring complete privacy (sort of). 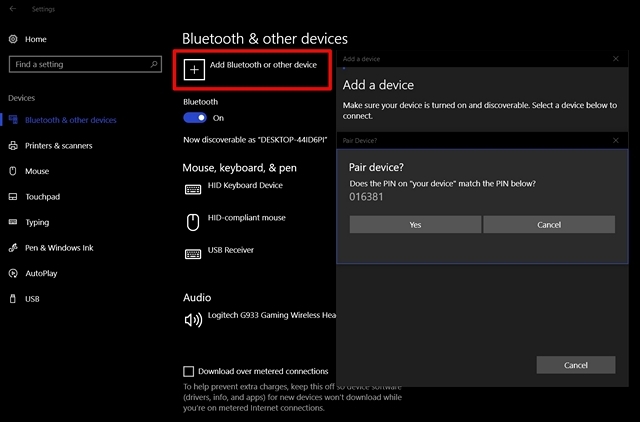 Before you can enable Dynamic Lock on Windows 10, you need to pair a Bluetooth device to your PC. 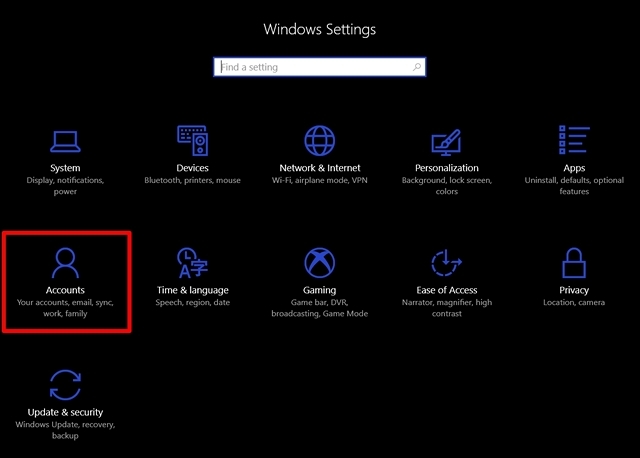 Go to Start Menu and click on the gear icon, so that you can get into “Settings”. 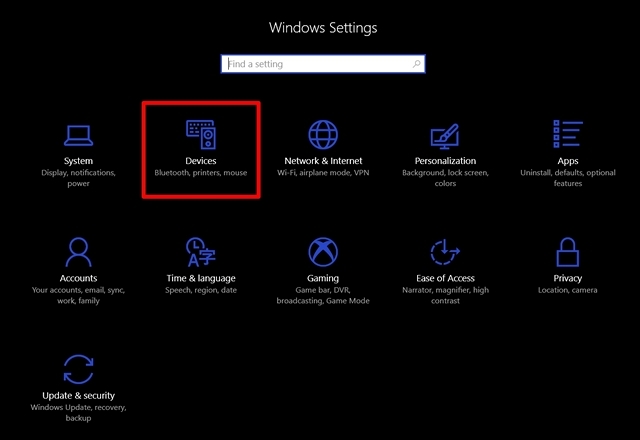 Now, click on the “Devices” section in the Settings page. Once done, you’ll be directly taken to the “Bluetooth & other devices” section. Click on “Add Bluetooth or other device” to pair a new Bluetooth device to your computer. Now, on your smartphone or any other device, turn on Bluetooth and make sure it’s discoverable. Once the device shows up on your computer, click “Pair” to connect. Note: If your computer doesn’t have Bluetooth, you’re out of luck. However, you can make use of a Bluetooth dongle, if you really want to utilize feature. Now that you’ve successfully paired your Bluetooth device with your computer, let’s go ahead and enable Dynamic Lock in Windows 10. Note: Dynamic Lock is a feature that was introduced in the Windows 10 Creators Update, so you need to have that installed. I’m using Dynamic Lock in Windows 10 Build 1703 Insider Preview. 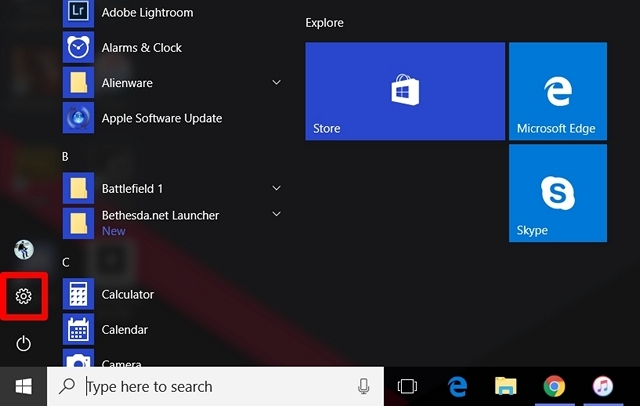 Go to Start Menu and click on the gear icon, so that you can go to “Settings” once again. Now, go to the “Accounts” section of the Settings page. Once done, click on “Sign-in options” and scroll down until you see Dynamic Lock. 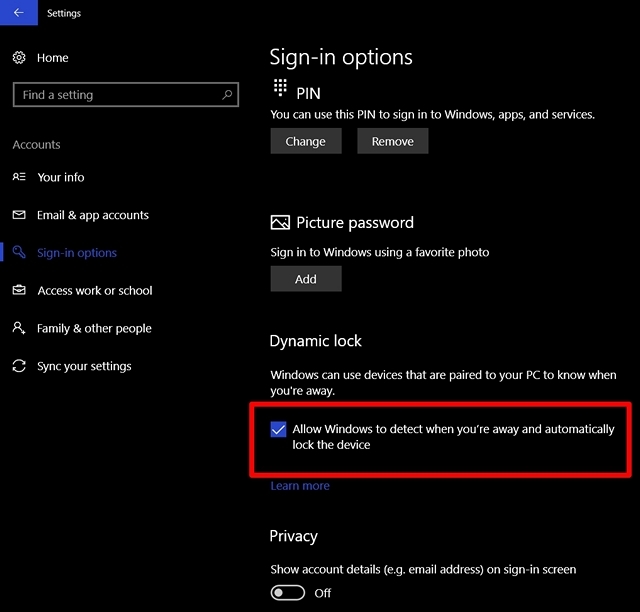 Now, check the box right next to “Allow Windows to detect when you’re away and automatically lock the device”. Well, that’s pretty much it and you’re done with the entire process. Dynamic Lock works by making use of the Bluetooth connection between your device and computer. As long as you’re within the Bluetooth range of your computer, you will notice nothing, as the computer will remain unlocked and fully functional. However, once you move out of range of the Bluetooth connection, Windows will wait 30 seconds for a re-connection attempt and then automatically lock your system. Sadly, there’s no unlock feature in Dynamic Lock, so you will have to make use of Windows Hello or type your PIN / password if you want to log in to your computer again. Dynamic Lock is certainly a great addition to Windows and it’s something you will definitely appreciate. One disappointing aspect is that there’s no Dynamic Unlock, so that your computer automatically unlocks when your Bluetooth device is back within the range and connected to your PC. That being said, we really hope Microsoft makes the automatic unlock feature a reality, in their future updates. So, what do you guys think about this nifty new feature in Windows 10 Creators Update? Will you be using it to lock your PC automatically? Do let us know by shooting your opinions in the comments section down below.